I love watches! I'm not a huge jewelry person and do find myself wearing the same pieces every day but there's just something about wearing a watch that makes me feel a little more put together. 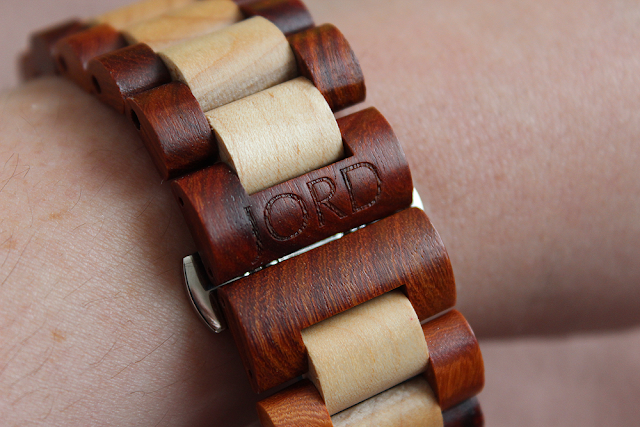 Welcome to the family, JORD Sully Redwood & Maple Watch, I think you're here to stay. 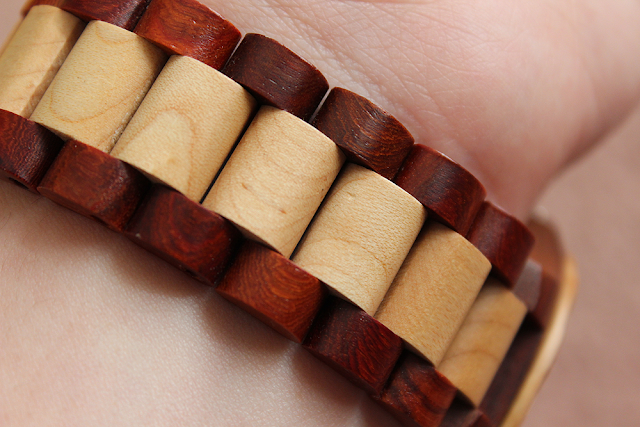 The Sully Red Sandalwood and Maple Watch comes with a bubbled bezel, fun, larger numbers and a wide, chunky band that has been pretreated with tung oil. The mix of a darker wood with a lighter wood makes it so fun and casual. 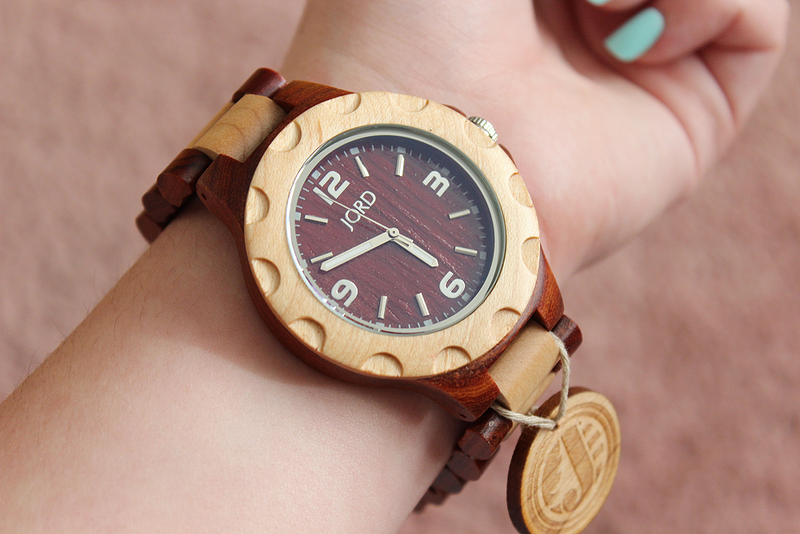 The wood gives the watch such a rich, luxe feeling. I absolutely love it. Also, this watch can hang, y'all! It's splash-proof (although they don't recommend getting it soaked) because y'know, sometimes it happens. Whether you're caught in the rain or your son spills his drink, it's nice to know it won't get ruined. The glass is a mineral scratch-resistant glass which is also very nice because I'm rough with my hands. I'm constantly cleaning, picking a child up, doing errands and hey, my jewelry goes through that with me. 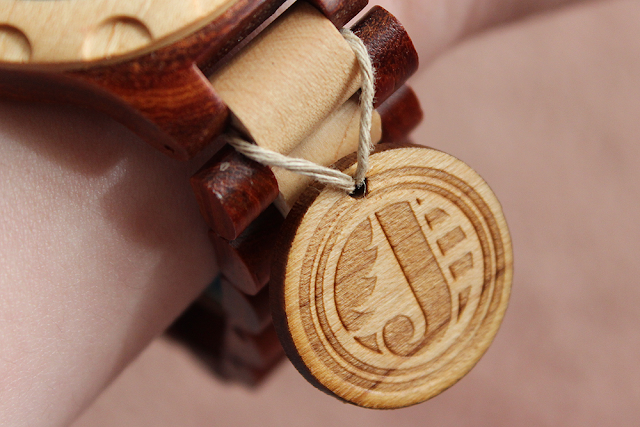 The Sully watch comes in four different colors to chose from (the dark sandalwood + maple is GORGEOUS!) and - get this! 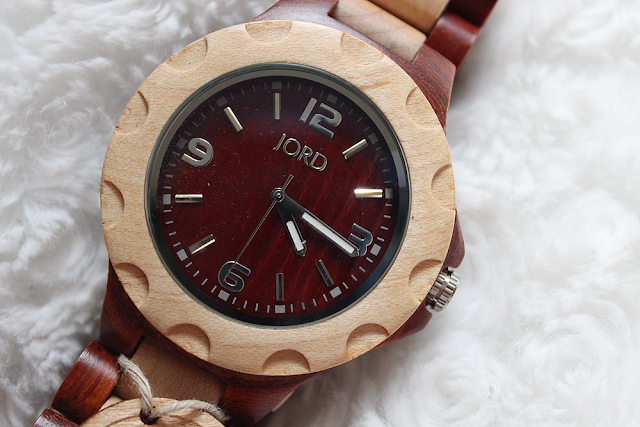 - JORD will size the watch for you before it's even shipped out to you! Are you a watch kind of person? 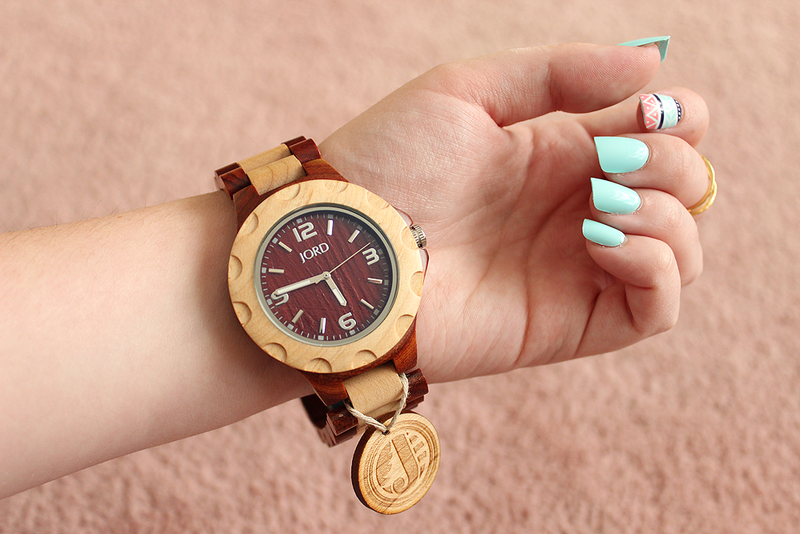 Would you rock a wood watch?